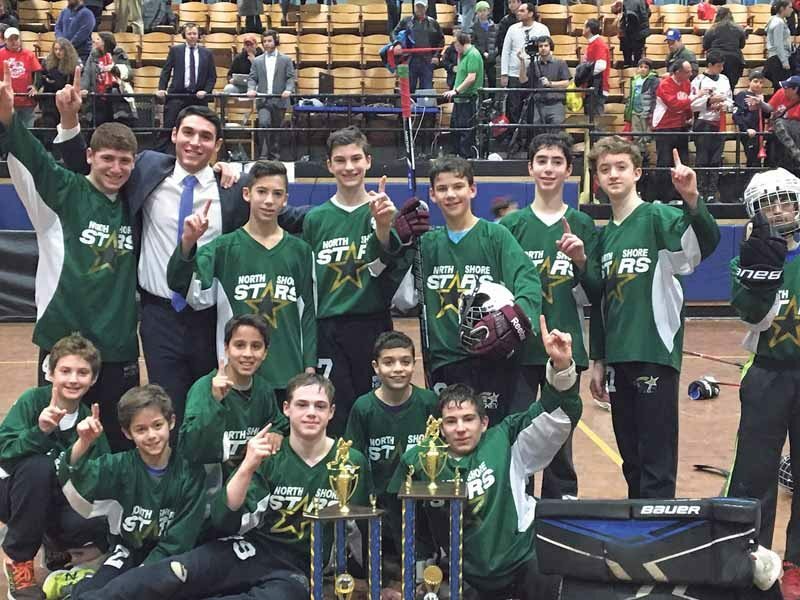 The North Shore Hebrew Academy (NSHA) sent two winning teams to championship games this year: basketball and hockey. Both teams played an exceptional season, remaining undefeated against all other competitors in their division. 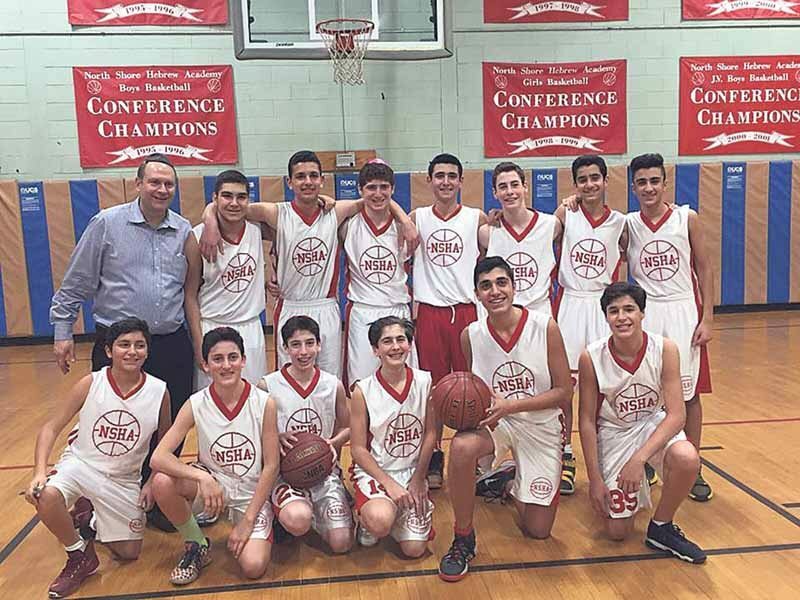 The boys eighth-grade basketball team won the championship game against Flatbush 32-21 on March 27. This is the third year in a row that the team has brought back a championship trophy to NSHA. Athletic director and team coach Robert Spector was incredibly impressed with his team’s performance. 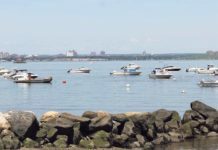 “Not only did they win their third championship in a row, they are the only team in the 50 years of the league to accomplish that stat,” said Spector. 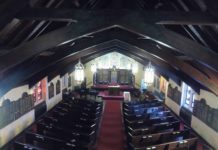 “They were 30-0 in three seasons.” In this particular championship game, he noted that both team captains Steven Levian and Aaron Hajibai were high scorers; each put eight points on the scoreboard. 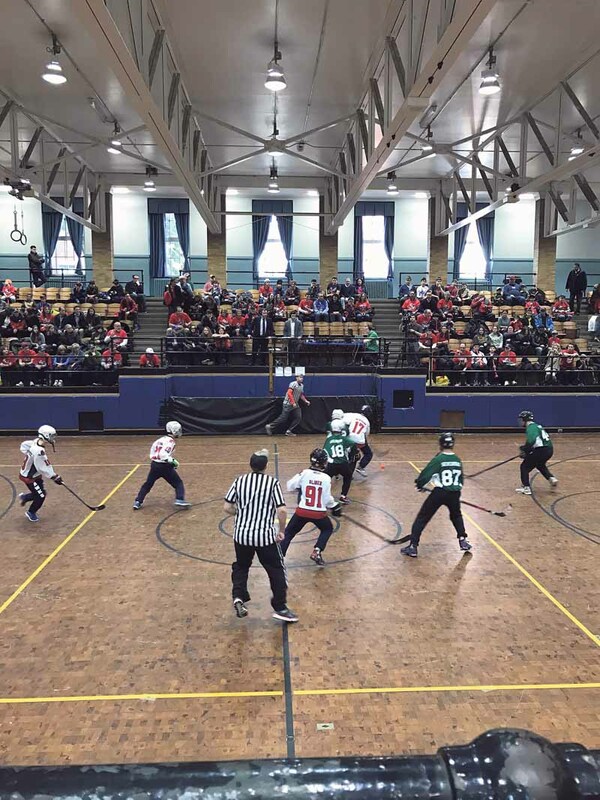 Although the final score shows NSHA with a significant lead, the game remained a nail-biter. At halftime, the score was NSHA 22-6, but Flatbush began catching up. They brought the score so close that two three-pointers could have evened out the game. In a turn of events, however, NSHA was able to regain its earlier success and finish the game with an 11-point lead. 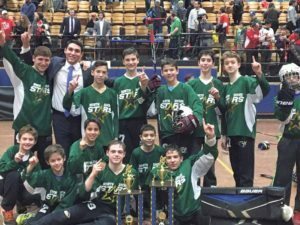 At the Metropolitan Yeshiva Junior Hockey League Championship game, NSHA played the HAFTR Hawks, a Long Island team from the South Shore. 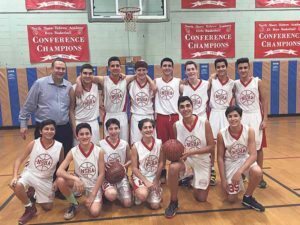 Coach Spector is confident in his players’ future success. 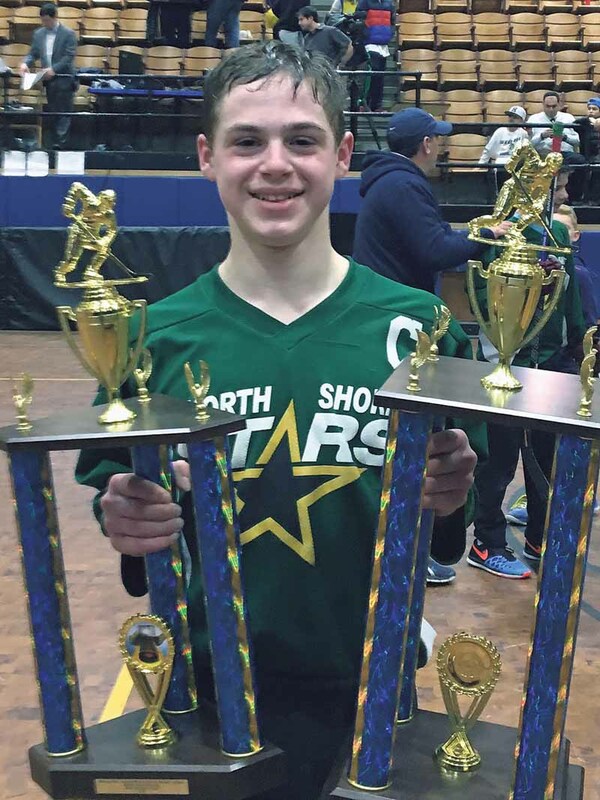 NSHA’s Charles Greszes was awarded MVP of the championship game. Three championship games in a row is an impressive résumé for NSHA’s basketball team, but the team members do work hard for their success. The team meets for practice one to two times a week, proving the mantra “practice makes perfect” true. 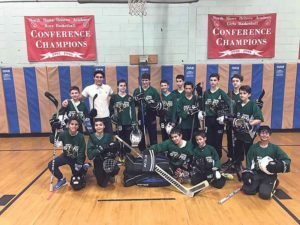 The NSHA’s boys hockey team also saw great success this season. 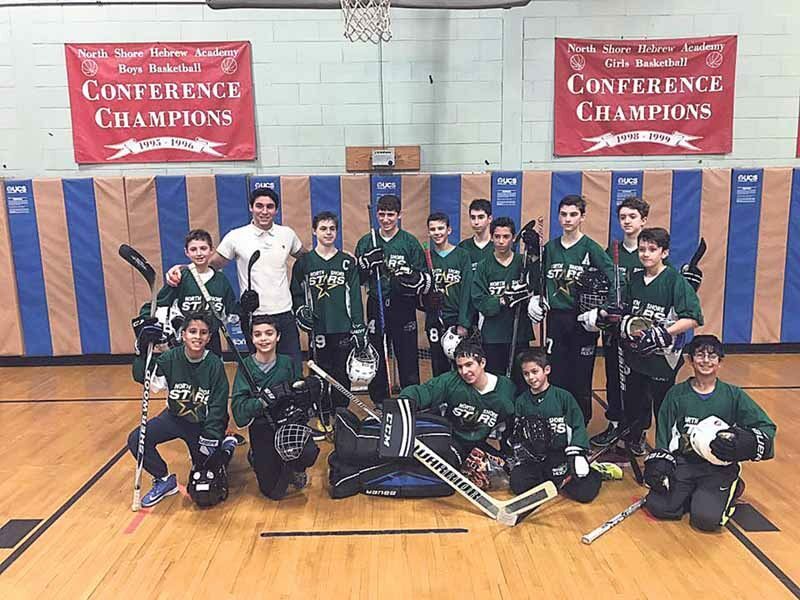 The team remained undefeated and claimed its first championship game on March 19 against the HAFTR Hawks at Lawrence Middle School. 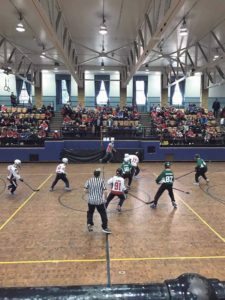 NSHA finished the game with a four point lead: 5-1. Coach Shlomo Amsellem noted key offensive players Charles Greszes and Adam Goldman, defensive player Andrew Sender and goalie Mark Seigleman. The game was action packed. 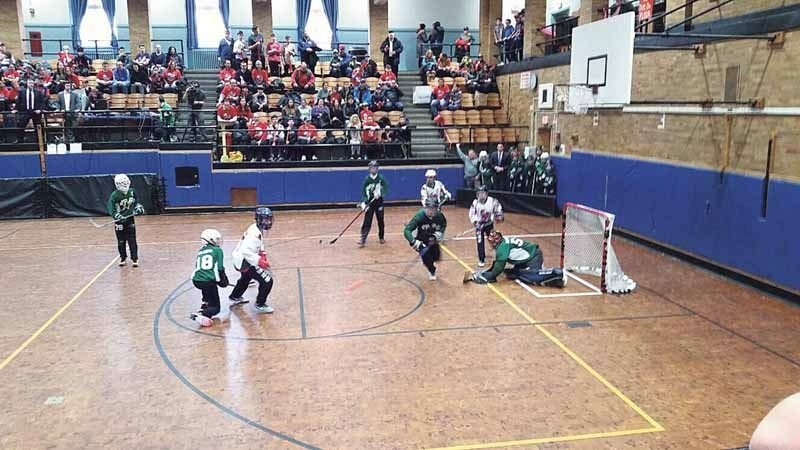 The team has been competing in the league for 12 years now, but this last game was the second shot it had at the championships. After practicing one to two times a week, the team gained the strength it took to secure the win. “The team is already looking forward to the 2017–18 season, building upon the momentum and strength of the incredible run this year,” said Coach Amsellem. The hockey game was exiting.